Centralia, Missouri is the second largest community within Boone County, Missouri, and is located approximately 25 miles northeast of Columbia, Missouri. Columbia offers a wide range of services, shopping, an SEC college, numerous smaller colleges and universities and a regional airport with daily flights to and from Chicago and Dallas. Centralia is a growing community with 3 new subdivisions under development. In the last 5 years 2 other new subdivisions were also developed. Shopping opportunities are available in the local downtown business district as well as the Highway 22 business district. Other areas for shopping are located in nearby Mexico, Columbia and Moberly. 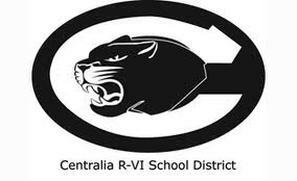 Centralia Public Schools were the first district in the state “Accredited with Distinction in Performance” in 1997. The school district houses students on five campuses including Chance Elementary, Centralia Intermediate School, Chester Boren Middle School, Centralia High School and Champion Academy which is an alternative education high school. Centralia has sixty acres of public parks which includes a public swimming pool, six baseball diamonds, tennis courts, modern basketball courts, picnic facilities with new shelters, and state of the art playground equipment. A new recreation center is now open at Bicentennial Park. Centralia offers the advantages of small town life with close proximity to a larger community.